For most of us, movie- and TV-themed lifestyle accessories are a distant #TBT (what ever happened to that The Little Mermaid-themed bedspread anyway?). But a new beauty-focused homage to Orange is the New Black, whose third season premieres next Friday, is bound to excite even the most seasoned binge-watchers. Piper: That smells fantastic... So, you can put anything in there? Polly: Just about. Peppermint, basil, grapefruits, vanilla. I could be your partner... market it right and package it right, this is money. I mean, it smells so f***ing good in here. If you’re familiar with the show, you’ll recall Piper’s later attempts to run the soap company using her limited prison phone privileges, and the irony of pitching fancy soap to Barneys when her reality consists of the jail’s sad commissary beauty products and gross, scary showers. 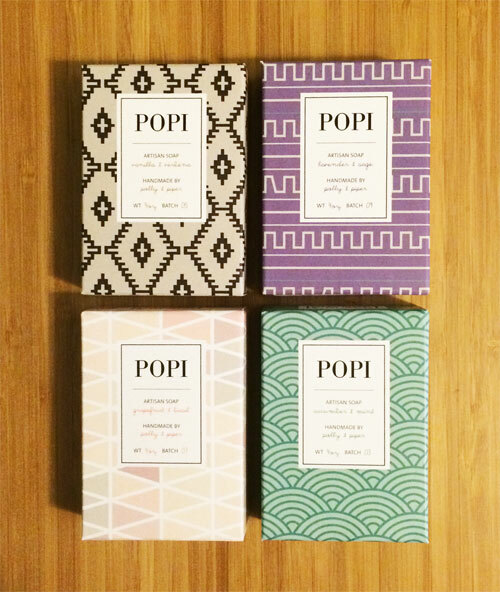 The real-life POPI collection, of course, features a soap based on each of the ingredients Polly mentions in the kitchen scene. There’s Cucumber & Mint, Vanilla & Verbena, Lavender Sage and Grapefruit & Basil. Each of the bars smells amazing, and creates a rich lather that leaves skin super soft. Bring one as a housewarming gift when you head over to your own BFF’s place to watch the show’s third season, which premieres on Netflix June 12. POPI soaps are available for $12 each at popisoap.com.